Supreme Kourts® provides each client with our user friendly on demand, turn-key installation and maintenance relationship, designed to eliminate concerns that are inherent in tennis court ownership. Unlike most recreational facilities, Supreme Kourts® provides both an automatic or à la carte “on-demand” monitoring and maintenance programs designed to minimize cost and eliminate problems before they occur -- designed to maximize the complete enjoyment of your tennis facilities. Supreme Kourts® offer a wide variety of services from tennis court surfacing and striping to complete construction, fencing, electrostatic fence coatings, sophisticated energy efficient lighting, windscreens, nets, sprinkler systems, walkway, retaining wall, drainage, audio and more. We also design and install customized bocce, paddle tennis, pickleball, basketball, roller hockey, shuffleboard and numerous other -- both indoor & outdoor game courts in addition to our top quality tennis courts. The Real Estate Industry has known that the investment of installing a tennis court generates a positive net gain to the valuation of virtually any property, in addition to the immeasurable health and social benefits. 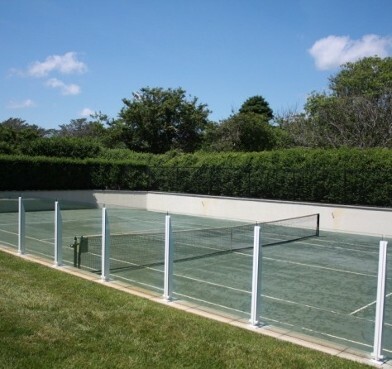 Supreme Kourts® for over 7 decades has been custom building tennis, basketball and bocce courts longer than any other tri-state companies. Supreme Kourts® installations are designed to be practical, beautiful and seamlessly blend into the surrounding landscape to our clients’ specifications. Our founder and management believe in providing the very best product and service available. Supreme Kourts® has been successful by professionally providing each of our clients with what they want, when they want it within their budget and schedule. Supreme Kourts® is the most innovative, creative, service-minded company in the industry. Supreme Kourts® goal is 100% customer satisfaction. As you can appreciate, Supreme Kourts® is the “final authority” in constructing fair and level playing fields for both the professional and recreational players. Supreme Kourts® is the finest full service tennis court contractor, providing quality service to residential and commercial clients. Start-to-finish, our management is involved in all aspects of construction. All Weather, Har-Tru, Cushion, Synthetic turf, Clay Tec and Hydro tennis courts are only several products and surfaces we offer. All of our sports facilities are built with the exacting precision that the professional player demands. 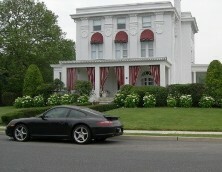 Supreme Kourts® supports the New Jersey shore with quality personal service and attention to detail. We have satisfied an extensive list of prominent clientele drawn from major developers, commercial tennis and golf clubs, municipalities and homeowners associations as well as private residential customers, school districts, colleges and universities.